The Trax is one of the least expensive all-wheel-drive vehicles on the market. AWD is a $1,500 option on all models, and is also adds rear disc brakes for a very reasonable base price. The 2017 Chevrolet Trax may lack power and style, but it's a smart package for city dwellers thanks to a useful hatchback shape, thrifty fuel economy, and a low price. The 2017 Chevy Trax is the brand's smallest crossover vehicle, a near-twin to the Encore from Buick, and a distant relative of the Chevy Sonic. A tall-riding hatchback with seats for as many as five passenger and with available all-wheel drive, the Trax gets a refresh in 2017, with newly updated styling, a tweaked interior, and new safety technology. For 2017, the front fascia, grille, and headlamps take on the look of recent vehicles, such as the Cruze, Volt, and Malibu. The rear fascia is new, too, and LED signature lighting and taillights are available on higher-end models. However, the base model still has budget-grade black door-mirror pedestals and it lacks roof rails and some chrome trim. Though the Trax is redesigned for 2017, it remains mechanically unchanged. U.S. models continue to be powered by a 138 horsepower, 1.4-liter turbocharged inline-4 paired to a six-speed automatic transmission. That gearbox features wide gear ratios allowing for relatively swift acceleration from a stop, but a deep overdrive sixth gear for fuel-efficient freeway cruising. Unfortunately, the little four struggles to get up to highway speeds and requires plenty of space when passing. Inside, the instrument panel and dashboard have been redesigned for 2017, trading a motorcycle-style instrument display with digital readouts for a more flowing dashboard design with analog gauges, extra bits of chrome trim, and available dashboard contrast stitching. While the look is more traditional and certainly improved, there are still plenty of hard plastics, and the overall effect is still utilitarian, practical, and low-end. The small crossover based on Chevrolet's subcompact, the Sonic, can seat four adults comfortably or five if the three in back don't mind rubbing shoulders. 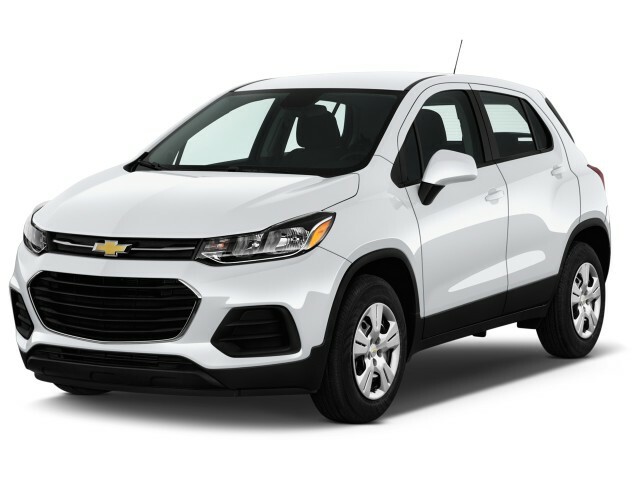 The Trax offers an impressive list of safety equipment as standard, including a rearview camera, electronic traction and stabilty control with rollover mitigation, and a cabin filled with airbags---10, in fact. For 2017, Chevrolet also offers blind spot monitors, rear cross-traffic alerts, forward collision alert, and lane departure warning. The forward collision alert system could be enough to earn the 2017 Trax a Top Safety Pick+ designation from the IIHS, but we'll have to wait for those results. Chevrolet offers the 2017 Trax in three flavors: LS, LT, and Premier, the latter of which replaces the outgoing LTZ trim across the Chevrolet lineup. EPA fuel economy estimates peg front-wheel-drive models at 28 mpg combined, dropping to 27 mpg when optioned with all-wheel drive. The redesigned 2017 Chevrolet Trax combines value with newly refreshed style, the latter of which is still not as expressive as competitors. The 2017 Chevrolet Trax is based on the underpinnings of Chevy's Sonic subcompact and is basically a different version of the Buick Encore. This year, the Trax presents a new dashboard and instrument cluster. It goes away from the corporate "twin cockpit" design and digital readouts of the last model, opting instead for a traditional look with analog gauges and a flowing dashboard design. Base black-cloth upholstery is made less bland with contrasting blue stitching—a nice touch relieving the interior of potential grimness. The high-line Premier model trades that black upholstery for nicer two-tone vinyl upholstery, contrast stitching on the instrument panel, and patterned trim over parts of the console. While the Trax has verged on generic since its introduction to the U.S.--filling the role of the Encore's more dowdy, less expensive brother--Chevrolet has updated the Trax's threads for 2017. The front fascia, grille, and headlamps take on the look of recent vehicles, such as the Cruze, Volt, and Malibu. LT and Premier models get halogen projector headlamps with LED signature lighting. Chrome is added to the bezels of the available fog lamps. At the rear, the fascia is also new, as are the dual taillights, which use LEDs on the Premier model. The door-mirror pedestals made of black plastic and a missing chrome belt line strip drive home the base Trax's budget nature. As do steel wheels with their plastic wheel covers, transporting buyers back to the 1990s style-wise. It also lacks the roof rails fitted as standard on other trims, which gives the base mode a cleaner look. Chevrolet attempts to make up for that with mirrors, rear license-plate surround, and other small trim pieces finished with body color plastic, even on the base model. Alloy wheels are standard on higher-line models, 16s for the LT and 18s for the Premier. Controlled but unremarkable handling is the highlight of the Chevy Trax. Chevrolet Trax customers aren't spoiled for choice when it comes to powertrains; the same 1.4-liter turbocharged four-cylinder and six-speed transmission provide motivation to the new Trax as they did the one before. That engine is good for 138 horsepower and 148 pound-feet of torque. 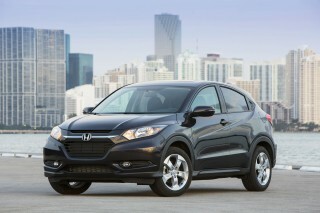 However, buyers can choose between front- or all-wheel drive, no matter the trim level. The all-wheel-drive option costs $1,500. Thanks to the engine's ability to crank out maximum torque at revs as low as 1,850 rpm (all the way up to 4,900 rpm), the Trax is peppy around town with solid acceleration up to 50 mph. However, all-wheel-drive models add some 400 pounds to overall curb weight, resulting in a slight descrease in 0-60 mph performance. Front-wheel-drive models can make it to the mark in 9.4 seconds, while all-wheel-drive models need an additional 0.3 seconds to achieve 60 mph. Both numbers are on par with competitors, whether they be subcompact/compact cars or crossovers. 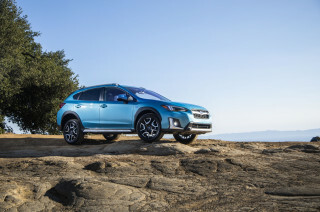 But it's the Trax's off-the-line acceleration paired with taller top gears that make the crossover ill-suited to long-haul trips along the country's Interstates. Above 3,500 rpm, the Trax becomes noticeably noisier with no discernible benefit to performance. (Though, it should be noted, the Trax is incredibly quiet around town when operated at lower engine revs.) Also, highway passing maneuvers should be planned ahead of time, as acceleration from 60 to 75 mph is met by the Trax with laziness. While the Trax can be equipped with all-wheel drive, don't expect that system to take on the Rubicon Trail. Instead, it's engineered to deliver all-weather control while still returning fuel efficiency on par with front-wheel-drive models. 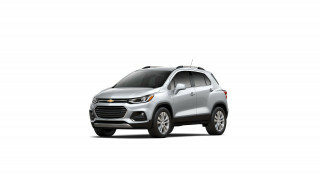 The Trax's all-wheel drive sends all available power to the front wheels above speeds of 37 mph, though it will send power to the rear if it senses slip up front. 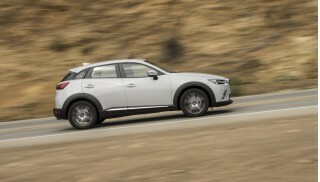 An average handler, the Trax doesn't offer the fun-to-drive cornering ability of the Mazda 2-based CX-3 or entry-level versions of the new Jeep Renegate. Still, the Trax employs an incredibly well tuned electric power steering system that rewards drivers with good on-center tracking and enough feedback that makes it feel right at nearly any speed. Also, the Trax's suspension--a fairly simple MacPherson strut front, torsion-beam rear setup--irons out the road and absorbs bumps with aplomb, through it does introduce a decent amount of body roll. Low-rent interior materials are somewhat offset by a cabin that is commendably quiet for the class. Space in the 2017 Chevrolet Trax is a mixed bag, but quite useful. There's plenty of head room front and rear, and it feels like a much larger vehicle from the inside than it appears on the outside. Taller drivers will like the Trax's front seats as they make use of longer lower cushions, a frequent oversight of smaller cars. That seat can be manually adjusted for height and rake. The six-way power seat on the top-trim Premier model adds additional adjustability, but you'll still need to adjust the seatback manually via a hard-to-find lever on the seat's side. The Trax is not short on storage. Numerous bins, trays, cubbies, and cupholders litter the interior, including a slideable tray under the front passenger seat on some models. It also has two vertical slots with rubber bottoms on either side of the center console for driver and front passenger smart phones. ventilation outlets. There are some tipoffs to the vehicle's modest width, however. The front-seat passengers' shoulders are only a few inches apart, and the driver's seat has a fold-down armrest while the passenger seat doesn't. There's no console compartment with a padded top, either. Instead, Chevy provides four cupholders set lengthwise behind the shift lever, with the rearmost one accessible to rear-seat riders as well. Cargo space is mid-pack in its segment. With 18.7 cubic feet with the rear seat up and 48.4 cubic feet once the rear seat is folded, it is more space than in competitors like the Juke or Countryman. 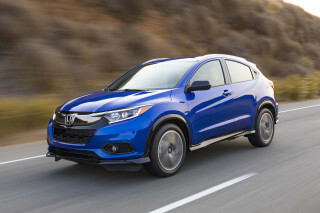 Still, the Honda HR-V offers more, with 23.2 cubic feet of cargo volume when the rear seats are up and 57.6 cubic feet with its Magic Seats folded. As before, the split-fold 60/40 rear seat is easy to operate and folds nearly flat with the cargo floor. Furthering the Trax's capability, its front-passenger seat folds flat to allow the storage of 8-foot-long items--though definitely not 4x8 sheets of plywood. No audible buzzes, squeaks, or rattles manifested themselves during our tests of the Trax, which has benefited from a great deal of work by Chevrolet engineers to reduce road and wind noise. For a small, low-priced utility vehicle, the cabin is remarkably quiet under most types of use. At idle, the engine essentially can't be heard, aided by a transmission that shifts imperceptibly into neutral until the car moves away, to reduce vibrations through the drivetrain and steering. We have noted definite signs of cost-cutting on previous models, but Chevrolet claims the interior of the 2017 model has a more premium feel. The instrument panel and dashboard have been redesigned, trading a motorcycle-style instrument display for a more flowing dashboard design with analog gauges, extra bits of chrome trim, and available dashboard contrast stitching. While the look is more traditional and certainly improved, there are still plenty of hard plastics, and the overall effect is still utilitarian, practical, and low-end. Federal and independent testers give the 2017 Chevy Trax high marks. For 2017, Chevrolet has added some new safety tech as an option for the Trax, a move we applaud. Standard safety features include 10 airbags, including knee bags for both front occupants and even rear thorax bags that protect rear-seat riders' ribcages in the event of a side impact. 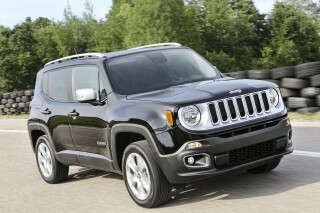 Also standard are a rearview camera, anti-lock brakes, traction control, stability control, and a tire-pressure monitor. Blind-spot monitors, rear cross-traffic alerts, a forward-collision alert system, and lane-departure warning are included with the Driver Confidence II package available on Premier models. Unlike the Mazda CX-3, the Trax does not yet offer any sort of automatic emergency braking; its system will flash a warning and make a loud sound if it detects an impact in order to get a driver's attention. The NHTSA rates the Trax at five stars overall, although its rollover rating is four stars—but that's not unusual for crossovers with their higher center of gravity than passenger cars. Apple CarPlay and Android Auto join the list of features favored by young buyers. For 2017, the Trax returns with LS and LT models, but the top LTZ trim gives way to the Premier. The base model Trax LS starts at $21,000. All-wheel drive (AWD) adds another $1,500, and it includes rear disc brakes instead of drums. That makes the base all-wheel-drive Trax Chevy's least expensive AWD vehicle. Premier models with all-wheel drive and without additional options cost about $28,000 before destination charges and tax. 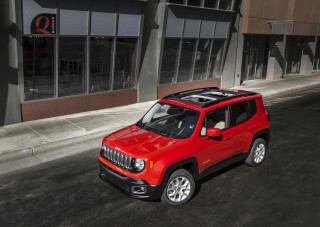 Air conditioning; power windows, locks, and mirrors; keyless entry; OnStar with new 4G LTE connectivity and built-in wi-fi hotspot; 10 airbags; a rearview camera; and 16-inch wheels with silver plastic wheel covers are included as standard equipment on base models. All-wheel-drive models add alloy wheels. The MyLink infotainment system in base models runs on a 7.0-inch touchscreen and can be connected to via USB (2 ports), AUX, and Bluetooth input. For 2017, the Trax receives Apple CarPlay and Android Auto capability. The mid-level LT model adds satellite radio, cruise control, deluxe seat cloth, remote start, LED daytime running lights with projector-style headlamps, LED taillights, front passenger underseat storage drawer, roof rails, heated mirrors, front and rear faux skid plates, and deep-tinted rear window glass. Top-trim Premier models build upon the LT trim with a premium 7-speaker Bose audio system, side blind zone alrt, rear cross traffic alert, rear park assist, leatherette seat upholstery, six-way power driver seat, heated front seats, keyless open/start, leather-wrapped steering wheel, auto-dimming rearview mirror, illuminated vanity mirrors, sill plates, fog lamps, and chrome accents on door handles and liftgate. Newly designed 18-inch wheels also join the Premier trim. The engine's modest power is offset by thrifty fuel economy, though some rivals are more efficient. The EPA has confirmed the Trax's fuel economy for the 2017 model year, and it's slightly different from the 2016 numbers thanks to some testing changes by the EPA. The 2017 Trax achieves its best fuel economy with front-wheel drive, at 26 mpg city, 34 highway, 29 combined. That was 1 mpg higher overall than its sister vehicle, the Buick Encore. This year, the Trax slides a bit due to the new EPA cycle calculations; it's rated at 25/33/28 mpg. 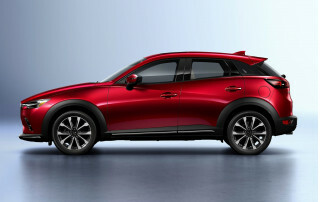 While efficient, those numbers trail some of the newer entries in the subcompact SUV class, such as the Honda HR-V and Mazda CX-3, both of which are rated at 31 mpg combined. In addition, if you sacrifice the all-wheel drive (AWD) and consider this a hatchback, there are numerous rivals that beat it, topped by the Toyota Prius C hybrid, which is rated at a combined 50 mpg. Trax models with AWD are rated at 24/30/27 mpg—again 1 mpg better than the Encore. 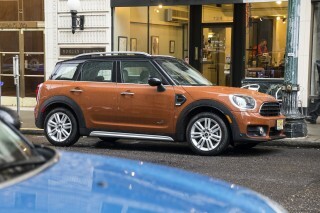 That combined number is in the ballpark of versions of the Mini Countryman and the Nissan Juke fitted with AWD and automatic transmissions. However, three Subaru models all do better. 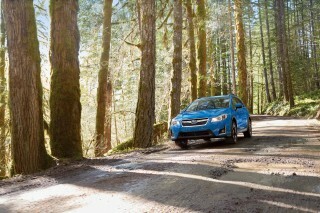 The XV Crosstrek gets 29 mpg, and the XV Crosstrek Hybrid and standard Impreza hatchback are rated at 31 mpg. The AWD HR-V and CX-3 also return 29 mpg combined. The best SUV crossover on the market. Excellent choice I made from an Equinox to this, no mistake. I am running my new trax for two months. But missing my Toyota Rav4. Trax is economical in gas. But that's all. Lack of spead and not fun to drive.